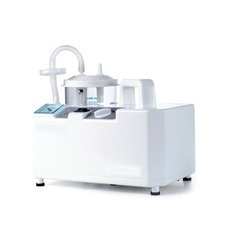 Our range of products include portable phlegm suction unit, suction apparatus, suction machine, portable suction apparatus, double bottle suction machine and portable suction machine. 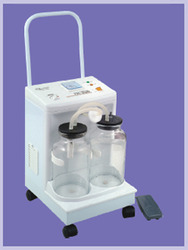 We offer Portable Phlegm Suction Unit is specially developed for absorbing thick liquid such as blood, phlegm etc. based on design experience and development trend of domestic and overseas product. 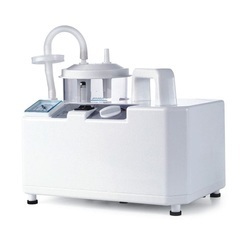 This particular model is an oil-free lubrication pump that not only finds application in as aspirator in operation room, emergency room but also at home as health care products. 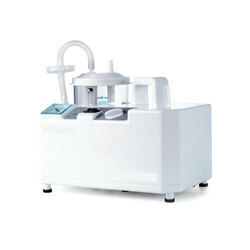 We offer 7E-B Suction Machine. 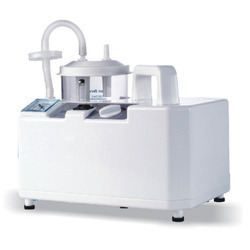 We offer 7E-D Portable Suction Apparatus. The Suction Machine available with us is designed in plastic panels, hand-switch and foot-switch for easy operation. This features safe and reliable functioning without any hassles. Further, it also has the option for select negative pressure at will with no level for pressure adjustment, and overflow protection mechanism. Suction Machine offered to come with maintenance free oil-less pumps and features overflow protection that prevents liquid entering in the pump. Further, these machines come with the support of non-toxic PVC hoses and allow for easy observation and linking support.